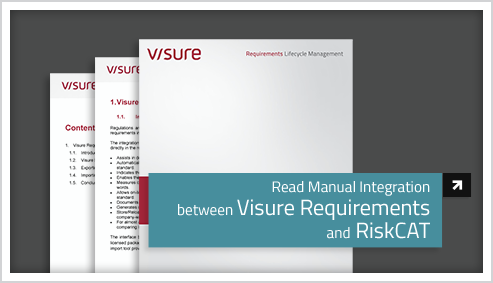 The integration between RiskCAT and Visure Requirements allows to integrate these standards directly in the requirements platform. Assists in determining the risk of the system according to the standard. Automatically derives the Safety Integrity Level (SIL) of the system according to the standard. Indicates the degree of obligation (recommended, mandatory, ...) for each measure. Enables the user to select the measures that shall be applied. Measures can be selected according to their relation to certain documents, activities, or key words. Allows on-line access to the exact wording of the measures or the definition of terms in the standard. Documents all decisions for review. Generates checklists for the selected measures. Store/Reload enables to start working with user-defined preselections of measures (e.g. company-wide guidelines). 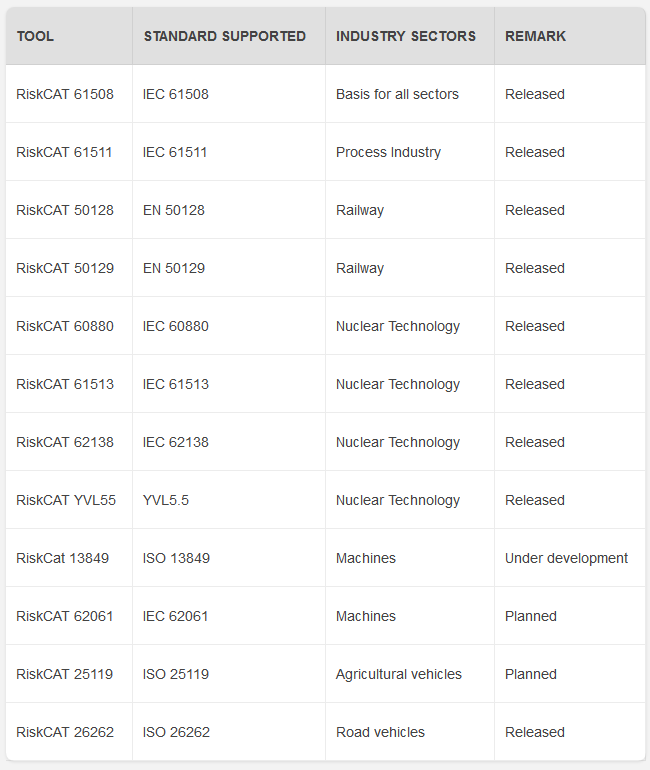 For almost all supported standards, a comparison module is available as extension. It allows comparing IEC 61508 (SIL 3) to the respective standard.